Windows Vista is an operating system released in several variations developed by Microsoft for use on personal computers, including home and business desktops, laptops, tablet PCs, and media center PCs. Prior to its announcement on July 22, 2005, Windows Vista was known by its codename "Longhorn." Development was completed on November 8, 2006; over the following three months it was released in stages to computer hardware and software manufacturers, business customers, and retail channels. On January 30, 2007, it was released worldwide, and was made available for purchase and download from Microsoft's website. The release of Windows Vista came more than five years after the introduction of its predecessor, Windows XP, the longest time span between successive releases of Microsoft Windows desktop operating systems. It was succeeded by Windows 7 which was released to manufacturing on July 22, 2009, and for the general public on October 22, 2009. Windows Vista contains many changes and new features, including an updated graphical user interface and visual style dubbed Aero, a redesigned search function, multimedia tools including Windows DVD Maker, and redesigned networking, audio, print, and display sub-systems. Vista aims to increase the level of communication between machines on a home network, using peer-to-peer technology to simplify sharing files and media between computers and devices. Windows Vista includes version 3.0 of the .NET Framework, allowing software developers to write applications without traditional Windows APIs. While these new features and security improvements have garnered positive reviews, Vista has also been the target of much criticism and negative press. Criticism of Windows Vista has targeted its high system requirements, its more restrictive licensing terms, the inclusion of a number of new digital rights management technologies aimed at restricting the copying of protected digital media, lack of compatibility with some pre-Vista hardware and software, and the number of authorization prompts for User Account Control. As a result of these and other issues, Windows Vista had seen initial adoption and satisfaction rates lower than Windows XP. However, with an estimated 330 million Internet users as of January 2009, it had been announced that Vista usage had surpassed Microsoft’s pre-launch two-year-out expectations of achieving 200 million users. At the release of Windows 7 (October 2009), Windows Vista (with approximately 400 million Internet users) was the second most widely used operating system on the Internet with an approximately 18.6% market share, the most widely used being Windows XP with an approximately 63.3% market share. As of the end of May 2010, Windows Vista's market share estimates range from 15.26% to 26.04%. Windows Vista is intended to be a technology-based release, to provide a base to include advanced technologies, many of which are related to how the system functions and thus not readily visible to the user. An example is the complete restructuring of the architecture of the audio, print, display, and networking subsystems; although the results of this work are visible to software developers, end-users will only see what appear to be evolutionary changes in the user interface. Vista includes technologies such as ReadyBoost and ReadyDrive which employ fast flash memory (located on USB drives and hybrid hard disk drives) to improve system performance by caching commonly used programs and data. This manifests itself in improved battery life on notebook computers as well, since a hybrid drive can be spun down when not in use. Another new technology called SuperFetch utilizes machine learning techniques to analyze usage patterns to allow Windows Vista to make intelligent decisions about what content should be present in system memory at any given time. It uses almost all the extra RAM as disk cache. In conjunction with SuperFetch, an automatic built-in Windows Disk Defragmenter makes sure that those applications are strategically positioned on the hard disk where they can be loaded into memory very quickly with the least amount of physical movement of the hard disk’s read-write heads. As part of the redesign of the networking architecture, IPv6 has been fully incorporated into the operating system and a number of performance improvements have been introduced, such as TCP window scaling. Earlier versions of Windows typically needed third-party wireless networking software to work properly, but this is not the case with Vista, which includes more comprehensive wireless networking support. Some notable Windows XP features and components have been replaced or removed in Windows Vista, including several shell and Windows Explorer features, multimedia features, networking related functionality, Windows Messenger, NTBackup, the network Messenger Service, HyperTerminal, MSN Explorer, Active Desktop, and the replacement of NetMeeting with Windows Meeting Space. Windows Vista also does not include the Windows XP "Luna" visual theme, or most of the classic color schemes which have been part of Windows since the Windows 3.x era. The "Hardware profiles" startup feature has also been removed, along with support for older motherboard technologies like the EISA bus, APM and Game port support (though on the 32-bit version game port support can be enabled by applying an older driver). IP over FireWire (TCP/IP over IEEE 1394) has been removed as well. The IPX/SPX Protocol has also been removed, although it can be enabled by a third-party plug-in. Windows Vista ships in eight editions. These are roughly divided into two target markets, consumer and business, with editions varying to cater for specific sub-markets. For consumers, there are four editions, with three available for developed countries. Windows Vista Starter edition is limited to emerging markets. Windows Vista Home Basic is intended for budget users with low needs. 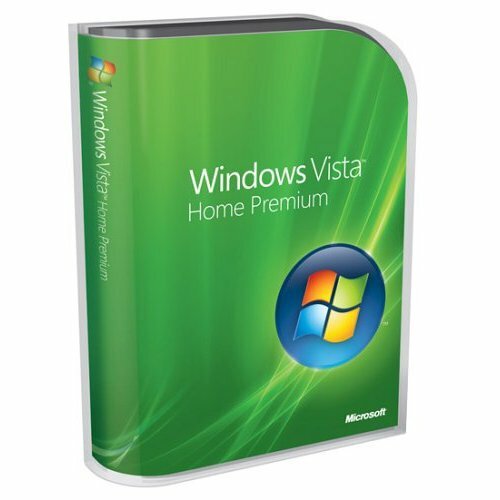 Windows Vista Home Premium covers the majority of the consumer market, and contains applications for creating and using multimedia. The home editions cannot join a Windows Server domain. For businesses, there are three editions. Windows Vista Business is specifically designed for small and medium-sized businesses, while Windows Vista Enterprise is only available to customers participating in Microsoft's Software Assurance program. Windows Vista Ultimate contains the complete feature-set of both the Home and Business (combination of both Home Premium and Enterprise) editions, as well as a set of Windows Ultimate Extras, and is aimed at enthusiasts. All editions except Windows Vista Starter support both 32-bit and 64-bit processor architectures. Windows Vista Service Pack 1 (SP1) was released on February 4, 2008, alongside Windows Server 2008 to OEM partners, it was a five-month beta test period. The initial deployment of the service pack caused a number of machines to continually reboot, rendering the machines unusable. This caused Microsoft to temporarily suspend automatic deployment of the service pack until the problem was resolved. The synchronized release date of the two operating systems reflected the merging of the workstation and server kernels back into a single code base for the first time since Windows 2000. MSDN subscribers were able to download SP1 on February 15, 2008. SP1 became available to current Windows Vista users on Windows Update and the Download Center on March 18, 2008. Initially, the service pack only supported 5 languages - English, French, Spanish, German and Japanese. Support for the remaining 31 languages was released on April 14, 2008. Service Pack 1 Introduced support for some new hardware and software standards, notably the exFAT file system, 802.11n wireless networking, IPv6 over VPN connections, and the Secure Socket Tunneling Protocol. Booting a system using Extensible Firmware Interface on x64 systems was also introduced; this feature had originally been slated for the initial release of Vista but was delayed due to a lack of compatible hardware at the time. An update to DirectX 10, named DirectX 10.1, marked mandatory several features which were previously optional in Direct3D 10 hardware. Graphics cards will be required to support DirectX 10.1. SP1 includes a kernel (6001) that matches the version shipped with Windows Server 2008.